It is in your power to heal your pain and master your life. Here is the plan to assist you. 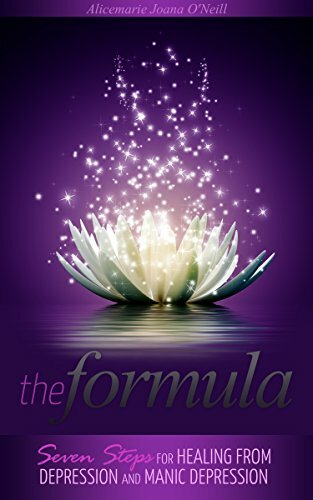 The Formula is a creative blueprint designed to produce healing and recovery from depression and manic depression. It is a holistic approach, with attention to mind, body and spirit. This healing guide includes traditional and nontraditional approaches, the ancient art of mental alchemy, practical steps to recovery, and mindfulness practices. Its methods bring successful results. The Formula is flexible, designed to meet you where you are, and from there, journey on to wellness. It offers real hope for healing and transformation. The Formula can help you recover yourself - the self you thought you had lost due to illness. The steps are individualized so that you can make The Formula your own and begin to see results quickly. This is your guide to restore and rebuild. There are no limits to what you can achieve. Begin today to bring joy back into your life. The Formula was created to assist in the healing process. It is for you, with special attention to the unique needs of those of us with depression or manic depression. You will not want to put it down.